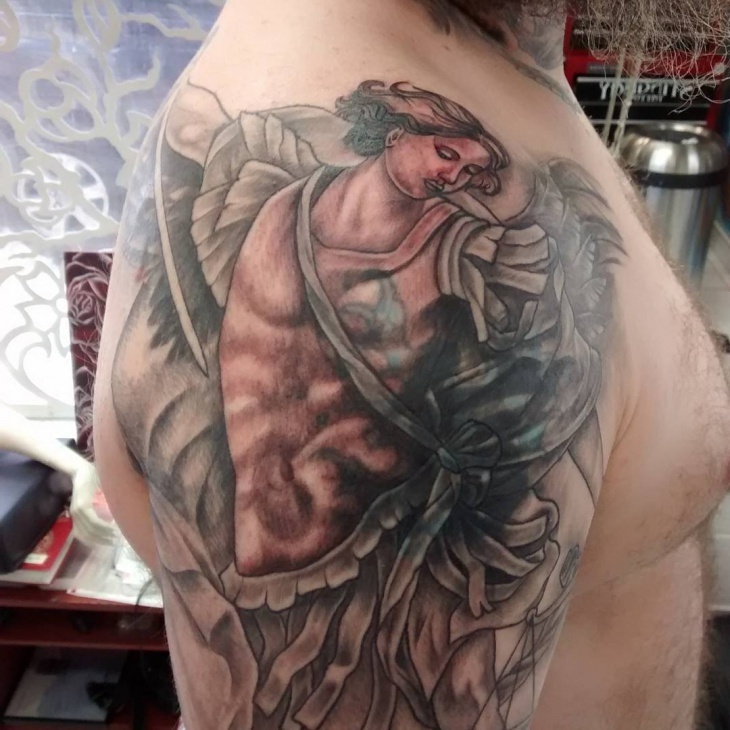 Tattoos have become a common fashion nowadays and everyone is looking for the best. 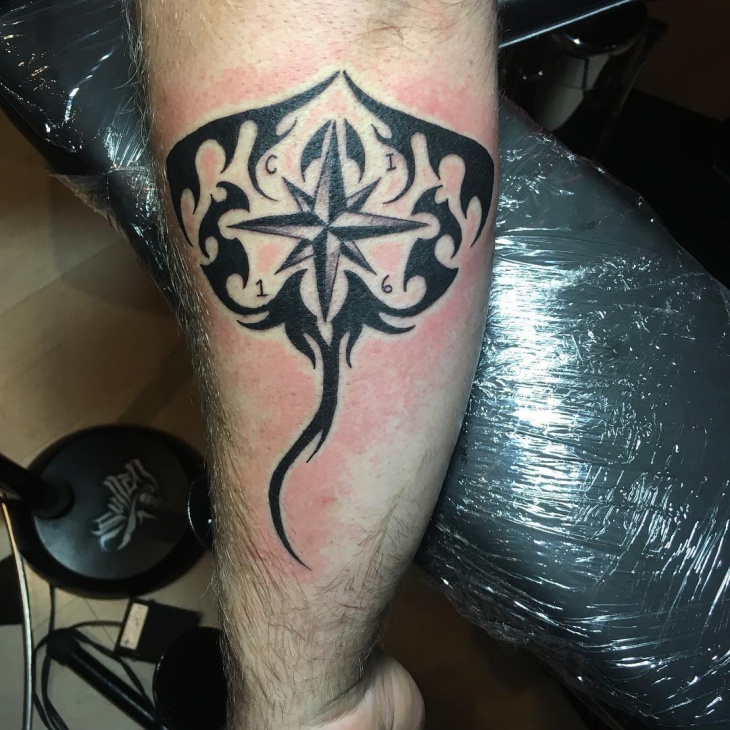 Some common trends in the market that have become popular lately are delicate designs like stingray tattoo designs and mandala tattoo designs. Mandala tattoos are very beautiful, detailed, delicate designs that resemble Henna designs and are floral. 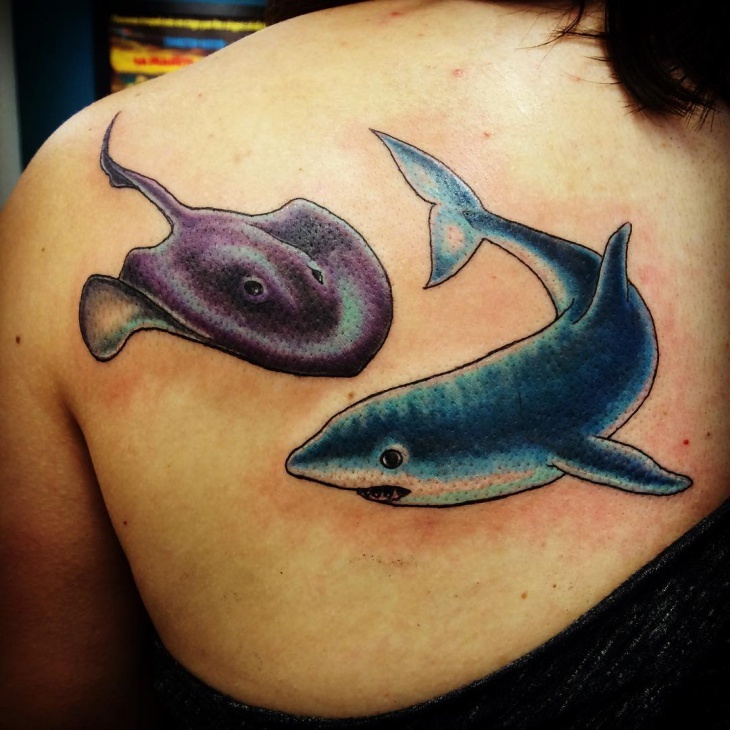 Stingray tattoo designs are stingray fish-shaped and are usually detailed. Also, they have small features, most commonly. 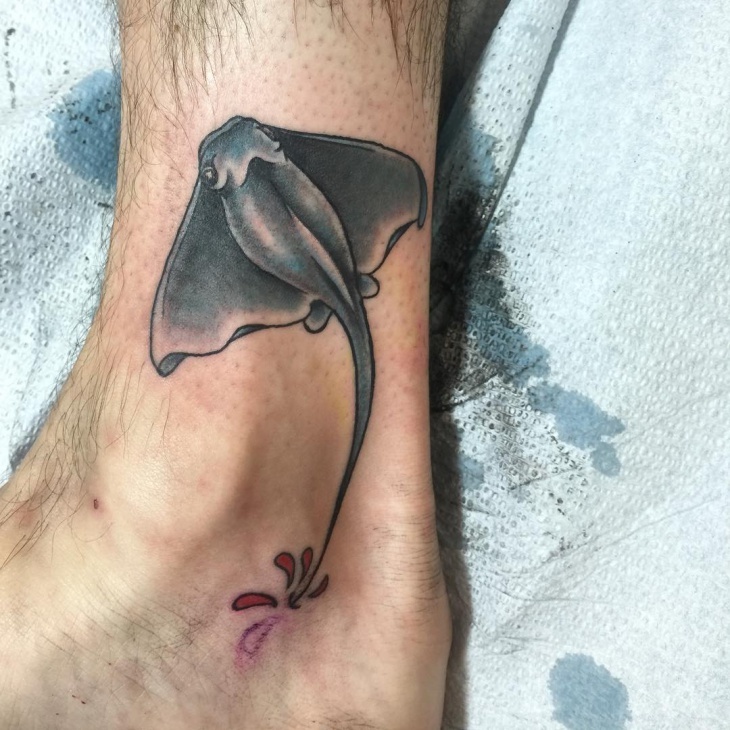 Some of the best stingray tattoo designs are in this list below. 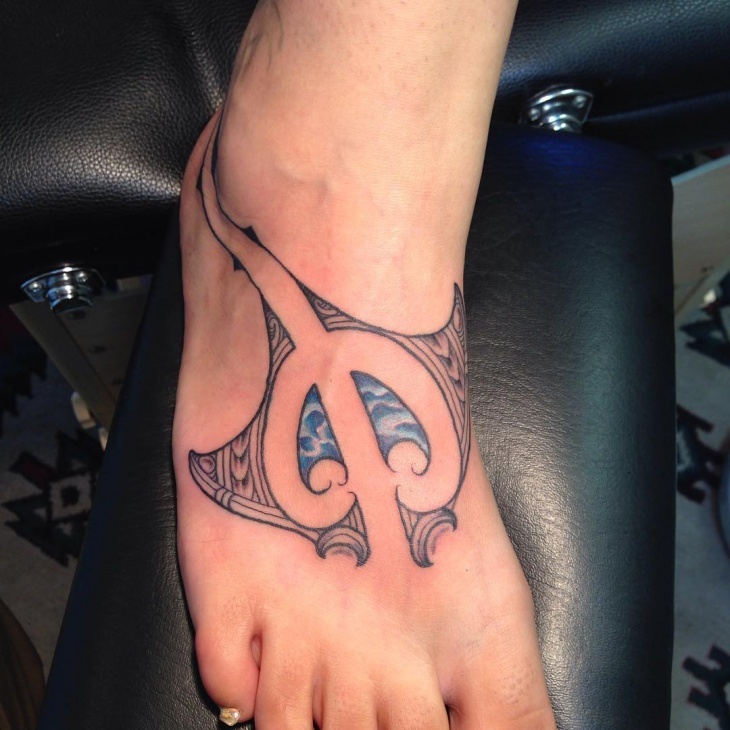 As mentioned in another of our tattoo designs article, tribal tattoos are an all-time favorite. 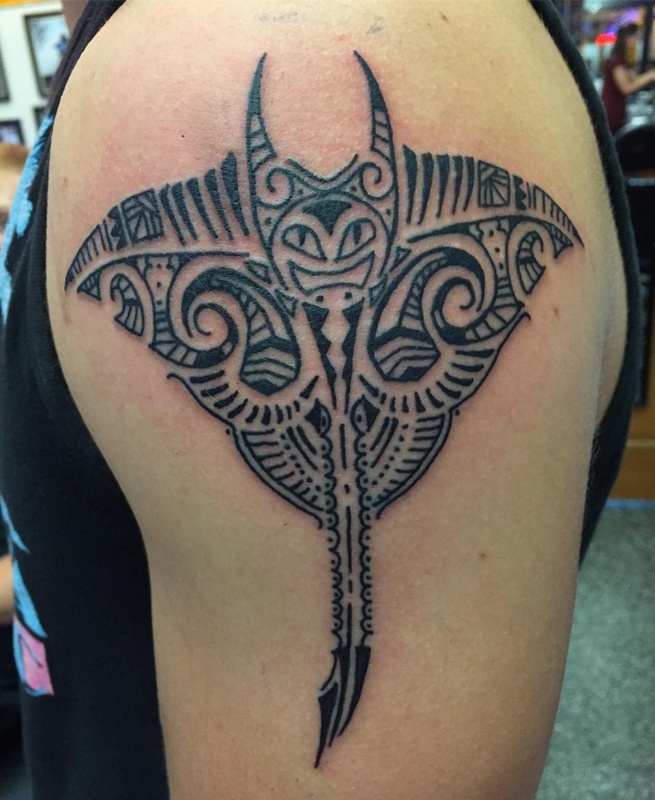 This stingray tattoo was inked in Chicago by a tattoo artist and features a tribal face as a signature, and small designs to form the stingray fish shape. 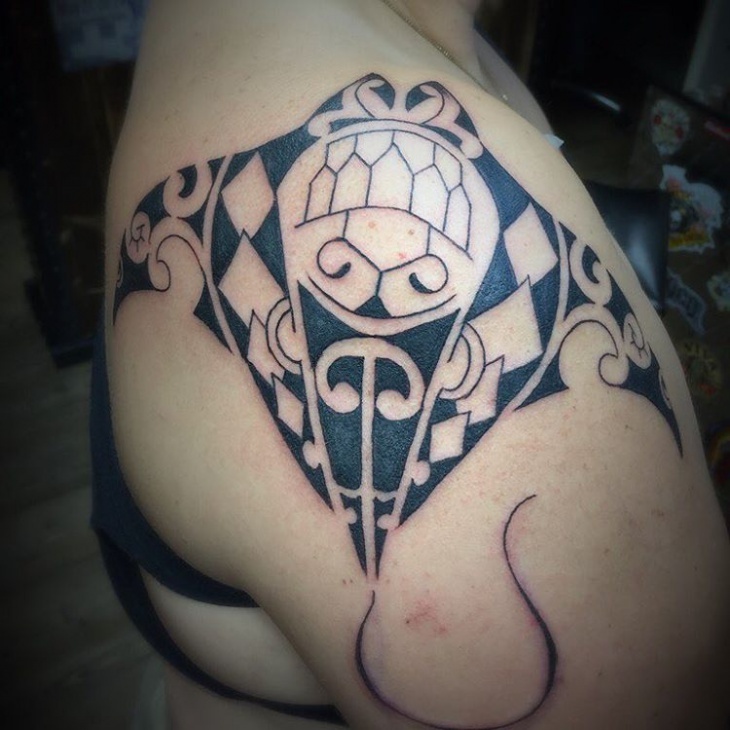 It is a very elusive tattoo design that anyone can wear well. 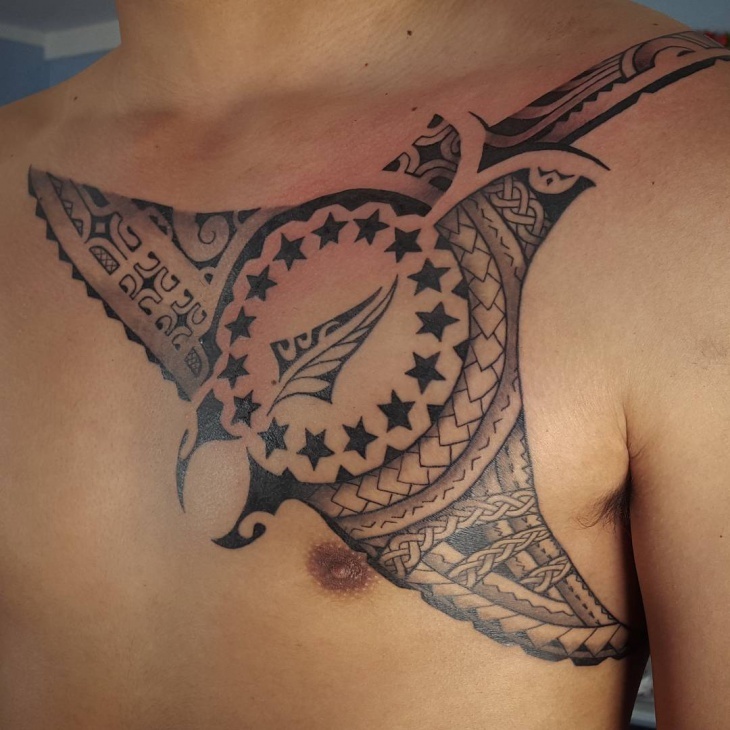 A very cool Polynesian tattoo design with stingray tattoo shape is shown in the picture. This tattoo is attractive, and can be inked on any part of the body. Men and women, both, can enjoy this tattoo. 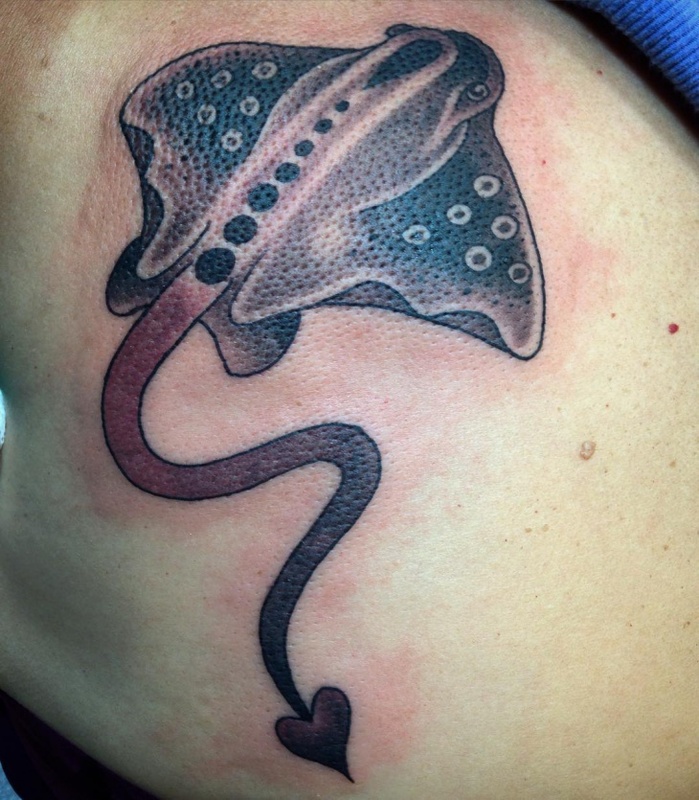 It also resembles tribal tattoo design due to its design in the wings of the stingray fish. 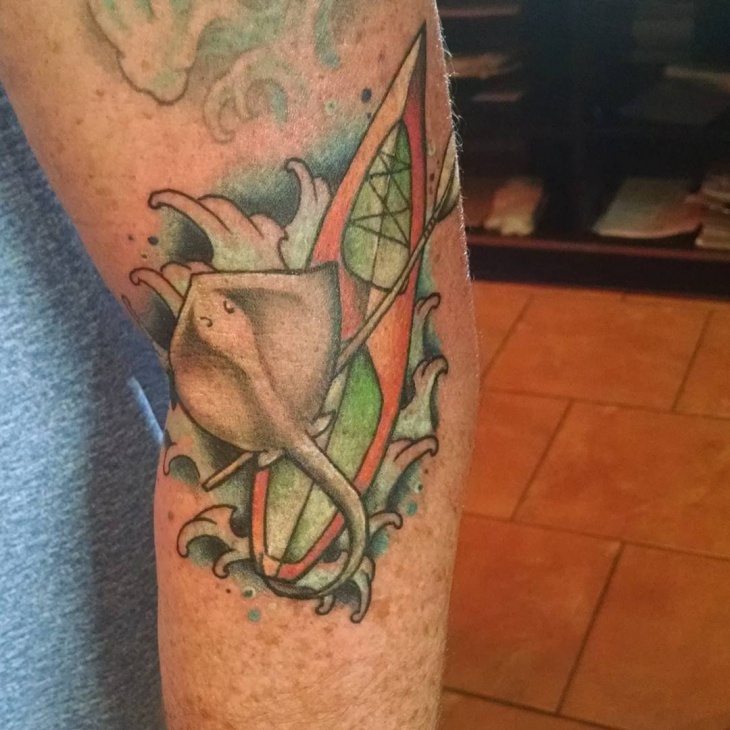 This is an abstract stingray tattoo that does not show the fish itself, but is defined by the stingray fish’s shape. It has thick features and a star, which you can customize according to your personal desire. For people who prefer bolder tattoo designs rather than detailed ones, this would be a good idea. This is a bigger version of the previous Polynesian tattoo design you saw in this list. It has the same design, but looks thicker and bolder due to its enlarged size. This all black stingray tattoo design covers an entire side of the chest, and has bigger details. The curved tail of this stingray is a nice-looking variation. 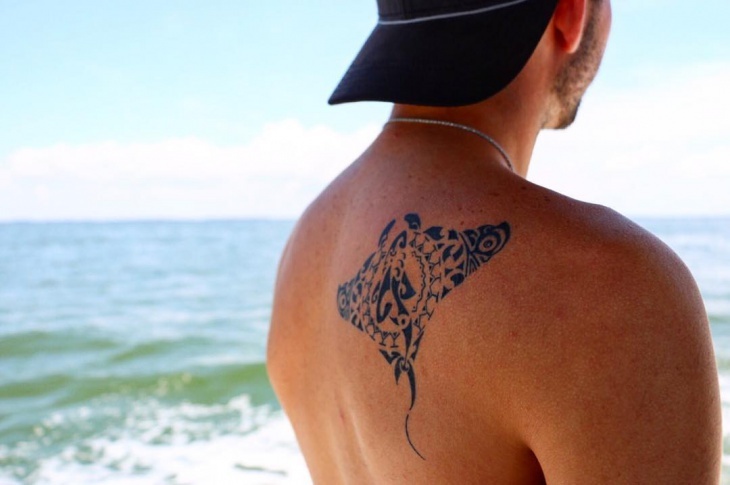 This stingray tattoo resembles tribal tattoo in features, and it has bigger cutout shapes, like diamonds in the black stripes, etcetera. The thicker designs look great on this big-sized tattoo, but I think a smaller version would look better than this. 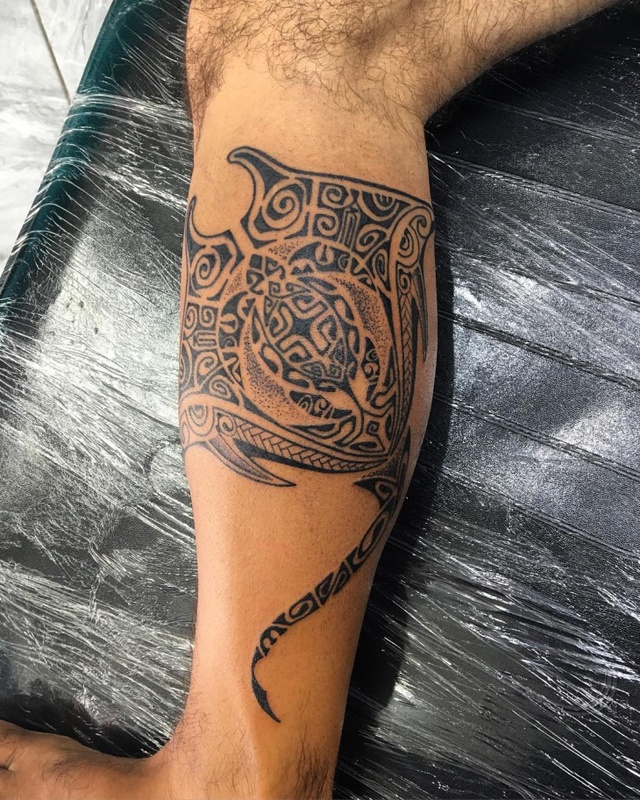 This large tattoo does not exactly have a stingray fish as its form, but it its outline resembles the fish’s shape – starts thin with the face, gets wide at the middle with the wings, and ends in a tail-like form. I consider it creative art to display various impressions. 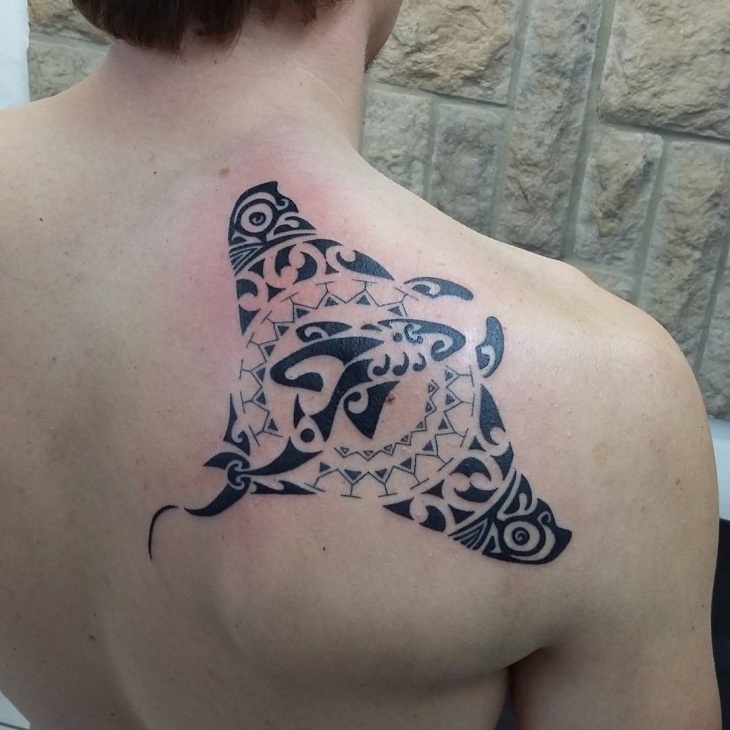 This tattoo design is a combination of stingray tattoo and tribal tattoo design. 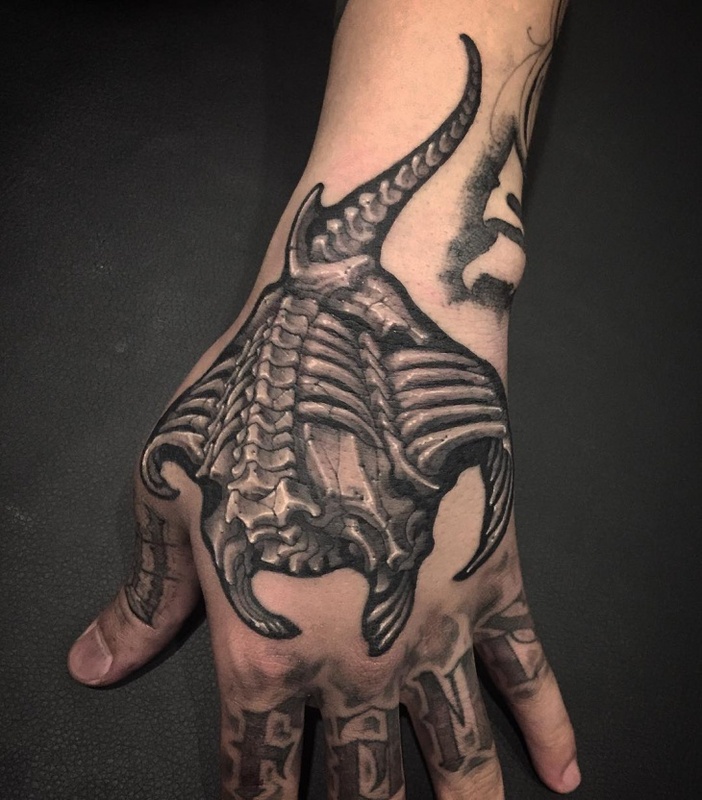 This particular tattoo design was done at WhipLash Tattoos in Philippines. 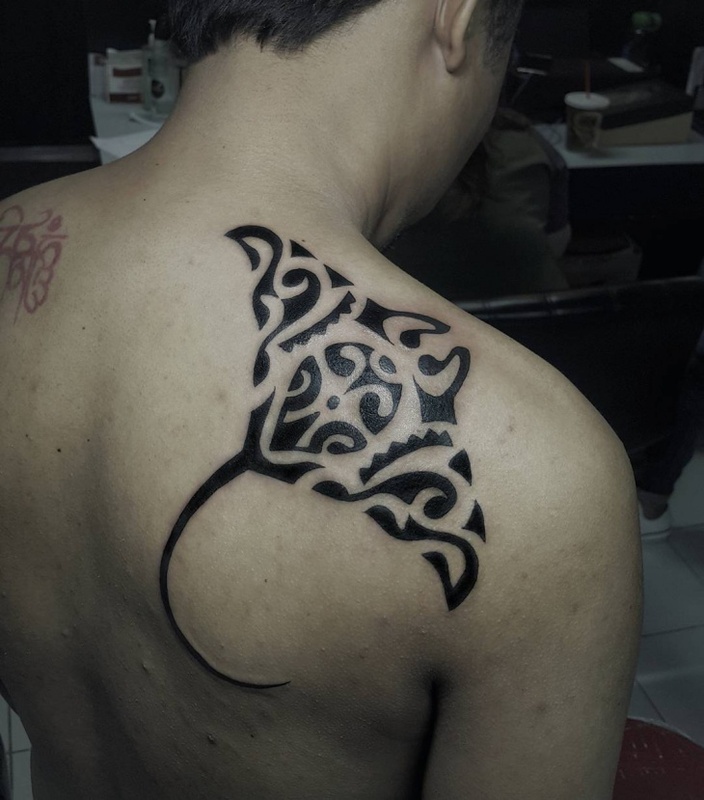 The special characteristic of this design is its solid-figure shapes with a long tail which makes it a decent tattoo. 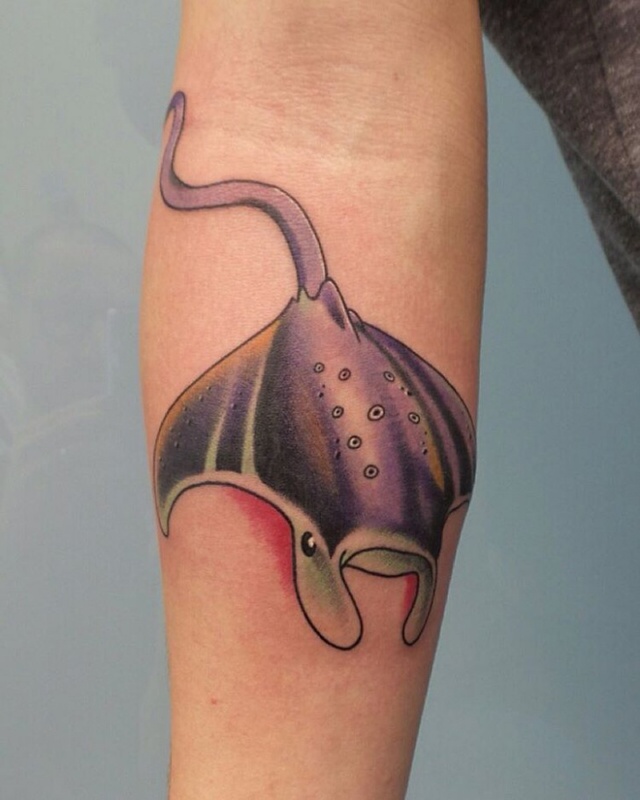 Unlike many other stingray tattoos in this list (except one), this tattoo has an actual stingray fish figure. The tattoo is inked in a cartoon-like drawing which has an attractive color. The design is not formed of shaped, but just a character with different hues. This tattoo has a perfect balance of gaps and fills. The blue in the center imitates the marine or sea life. 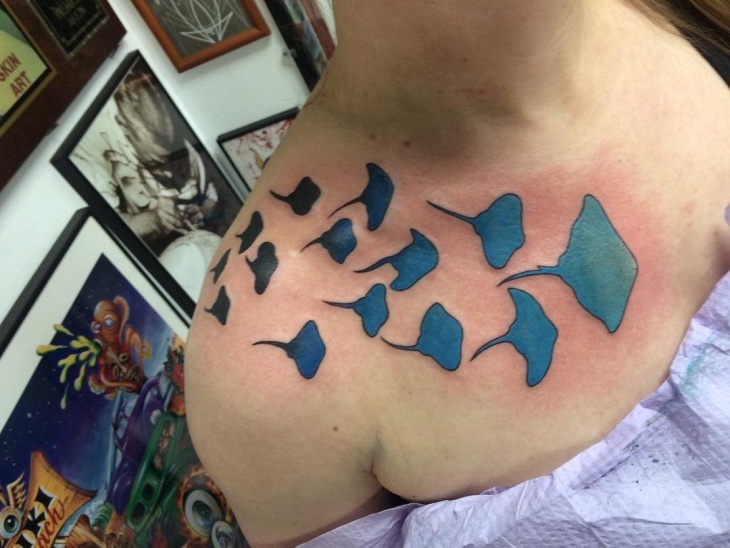 These stingray tattoo designs are all minimal to heavy. The most popular among these are the sleeve tattoos that cover the entire arm with a stingray structure.